Using energy therapy and emotional healing techniques, How to Heal Yourself When No One Else Can shows you how to achieve complete and permanent healing by loving, accepting, and being yourself no matter what. Energy therapist Amy B. Scher presents an easy-to-understand, three-part approach to using energy healing for removing blockages, changing your relationship with stress, and coming into alignment with who you truly are. 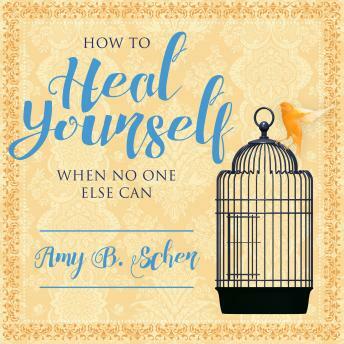 After overcoming a life-threatening illness, Amy had an epiphany that healing is more than just physical. Her dramatic story serves as a powerful example of how beneficial it is to address our emotional energies, particularly when nothing else works. Discover areas of imbalance and easy ways to address them on your healing journey. Whether you are experiencing physical symptoms and chronic illness or are just feeling lost, sad, full of anxiety, or emotionally unbalanced, this book will show you how to use intuitive self-healing to change your life.